I believe many people encountered this HTTP error when uploading images to WordPress. The last time this happened to us was several days ago, after the hosting transfer, so I thought to share with you several solutions that may help you solve this problem. This error appears after the image is “struggling” to upload for a while. Sometimes, the image is uploaded even if the error appears. Most of the time it’s the image’s size (height and width) that causes this, so trying to upload big images could trigger the issue. Sometimes, the error can appear just once, for a particular image, but if it persists, try the solutions below. In order to make a screenshot of the error, I’ve tried to upload a big sized image, and as you can see, it did trigger the error. 1. Optimize the images by decreasing their size. Don’t add a 2000 x 1500 image, for example. If your post content area is 700px wide, don’t add an image larger than that. 2. Change the image’s extension from .png to .jpg, or vice versa, then upload it again. 3. If the problem appears after installing a plugin, deactivate it and try it again. Some plugins can trigger the error. 4. Increase your PHP memory by adding this code define('WP_MEMORY_LIMIT', '64M') into your wp-config.php file. Increasing your PHP memory limit might not work if your host does not allow you to increase the PHP memory limit, especially on shared environments. So, I suggest talking to your web host’s support and figure out a solution. 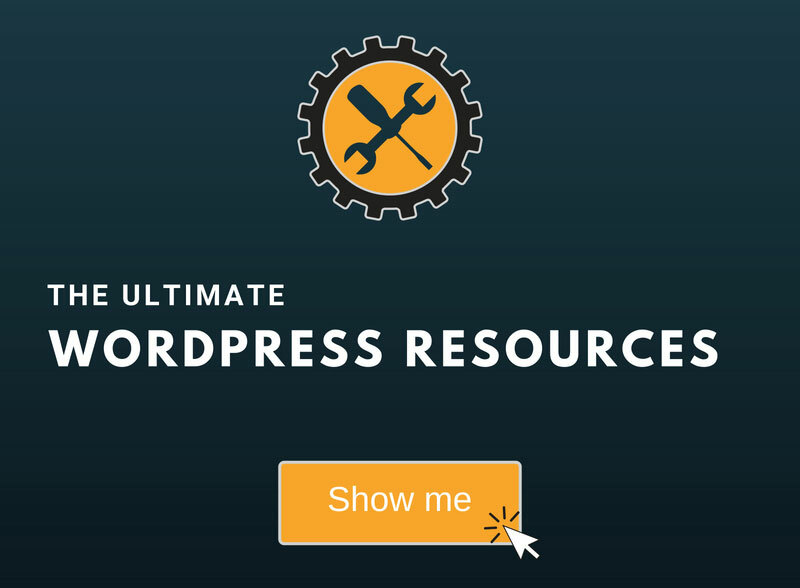 Read this guide if you need to know how to access and edit your WordPress files. The codes can differ from server to server, so it’s best to contact your hosting support and ask them if it’s alright to add one of the codes, or ask them to do it for you. 6. Check with your hosting company to make sure that they are using PHP 5.2.4+ and they haven’t limited anything regarding uploads. Once, when we were on HostGator (this is an affiliate link), someone from support was checking out an issue and discovered that we didn’t have the correct version of PHP. So it’s a good thing to “bug” your hosting support and ask them. 7 (Update). This fix was pointed out by a couple of our readers. We thank them for that! Make sure you don’t have an apostrophe in the image file’s name (e.g. mary‘s-wedding.png), because that will trigger the error as well. 8 (Update). If you’re using an image optimizer plugin, deactivate it and see if that solves the issue. If the plugin was the cause, try different configuration settings or contact the plugin developer. We’ve experienced such an issue with the EWWW Image Optimizer plugin, which triggered the HTTP error when we were uploading PNG files. It was working fine with JPEG files, but PNGs are better in some cases, so we really wanted to fix the issue, which we did, with the help of the developer. 9 (Update). Backup your site and then switch to a WordPress default theme (e.g. Twenty Seventeen). If the problem is solved, then it’s a theme issue or a hosting related issue (see below why). First, contact the theme developers to have a look. If they can’t seem to fix it, contact the hosting company. Scenario – this happened to us recently. I received the HTTP error and nothing worked until I switched themes and the problem was solved. So it had something to do with the theme or the theme combined with something else. I contacted the theme developers and they managed to partially fix the issue by installing a thumbnail regeneration plugin, but when I deactivated the plugin, the problem reappeared. Since I don’t like having unnecessary plugins installed, especially for something that should work fine from the start, I didn’t let it go. After checking things out with Chrome’s Developer Tools, I’ve spotted a server error, so I contacted the hosting company which changed the PHP version to 7, and that fixed the problem! 10 (Update). This was pointed out by Ellen in the comments section. Check your file path, especially if you migrated your site. Got to Settings -> Media and check the path at Store uploads in this folder under Uploading Files. It should be something like /home/username/public_html/wp-content/uploads. 11 (Update). This was pointed out by Vivek Kumar and Niche Apex in the comments. Thanks! Switch to another browser, especially if you are using Chrome, which seems to trigger the HTTP error. 12 (Update). This was pointed out by BekBek in the comments. Thanks! This fix already worked for some, and it might work for many others. Try uploading the images only via Media -> Add New -> then Select files. 13 (Update). This was pointed out by pjmarket in the comments. Thanks! If your image file name is in another language (e.g. Farsi, Mandarin, and so on), rename it and use English. Even though WordPress allows you to upload file names using different languages, sometimes, it might cause an error. If none of the above solutions work, then you should definitely contact your hosting support. If you have a good hosting company, I’m sure they will help you out and solve the issue for you. It can be very annoying and frustrating getting that HTTP error when uploading images to WordPress, but I’m pretty sure that one of the above solutions will work for you. Usually, the problem is the image itself, so start with the easy solutions first, like decreasing it to web-size or changing its extension. Hope the post helped you out! Don’t forget to share! I’ve been struggling with this for a week and I can’t fix it. My hosting company has been useless! We’re sorry to hear that! We stumble upon all kinds of issues all the time, so we know how frustrating it can be. Your site must run on PHP 5.2.4+. Isn’t your hosting company providing that version or higher? I tried loads of fixes listed on various websites, however the fix that worked for me was to add a line of code to the .htaccess file to modify the PHP version being used. The default our web hosting provider was using 5.5, but 5.6 and 7.0 can also be specified. Adding the following line of code to the .htaccess file cured the image upload issue for me on various sites. Your web hosting provider should be able to advise you what versions of PHP they support. Your site is unusable on Chrome. If I try to scroll down to read, it quickly scrolls to the bottom of the page. If I try to scroll up, it zooms to the top. There’s no way to read the content. Thank you very much for letting us know! We really appreciate it! This is will be a tricky one. We’ve checked ourselves and also asked some other people to check things out, and it seems to be working fine. It may be one of those frustrating problems that occurs occasionally, or only to some users, so it will be very hard to spot and fix if it doesn’t happen on our end as well. The thing is that we did a lot of tweaking in order to improve the site’s speed, and we noticed that some plugins, like W3 Total Cache’s and Bj Lazy Load, caused some problems, but we thought we solved them. It’s clearly an issue caused by a plugin or a plugin’s setting. We’ll try our best to get to the bottom of this. Did you encounter this issue on the entire site? I too am having trouble on your site while using Chrome. It is sitewide. I hope this helps! Your site is most definitely NOT working properly on Chrome. It scrolls crazily and you can’t use the mouse. You have to use the up and down arrows to navigate. Have a few more people test it for you who aren’t in your office/country. Thank you Max and Amanda for letting us know this! We really appreciate it! We’ve put other people to check it out and everything seemed fine. It’s one of those frustrating problems that only happen to some users, that’s why it’s so hard to spot and fix. We can’t check things out in order to see what’s causing this. Chrome is also a bit “difficult” as a browser. There’s always something that doesn’t work properly on Chrome. For example, some images don’t appear properly (or at all) when using the BJ Lazy Load plugin, so we had to delete it. It could be one of the minified files from W3 Total Cache which is causing this, but we aren’t able to see which one because it works fine for us. We’ll keep on working on the issue and fix it as soon as possible! Many thanks for the heads up! Received your email. I came back and checked, and yes the problem seems to be fixed. I am using Chrome and Windows 8, BTW, not a Mac. I tried my Mac at home over the weekend on your site, running Chrome and Firefox as the browsers and there were no issues. Thank you very much for your time and help! It was very kind of you. I’ll pass the new info to the theme’s support, so they can check things out. For those that are using Hiawatha and face the same issue, apart of the changes in php.ini and read/write rights. My pdf file name had an apostrophe in the file name. Removing it fixed this issue. That could cause issues as well! Thanks for the info! Its the apostrophe in the file name its that simple. Everyone is wasting there time with this problem and its that simple to fix it. Yes, that can trigger the error too, but it’s not the most common issue from what we’ve seen. Usually this happens because of the memory limit and file size. Recently, we’ve been getting the error again when uploading PNG files, and it’s caused by an image optimization plugin. Struggled with this as well. The solution was actually a simple one and I thought that perhaps you might want to add it to the solutions. Silly me, when I saved the image for web, I added an apostrophe (e.g. it’s-an-error) in the title. After removing the apostrophe (e.g. its-not-an-error), the problem was solved. Thanks for the info! We’ll add this to the solutions, since we are starting to see that’s pretty common too. I get this issue. regularly. While the http error does come up, the picture actually loads i.e. if I go to another page and then back to the image library, the image will be there. It happens on more than one of my site so I don’t think it is a problem with the specific site. In my case, I think it is due to the image optimizer that is comes with my theme – Thrive Themes. Maybe it takes a bit longer than expected to load so the error comes up. However, I did also experience this issue on a a few occassions before changing tho this theme so there must be more than one thing which can cause the issue. Yes, the picture does load in the media library. And an image optimizer feature can trigger the error, like we have experienced lately with the EWWW Image Optimizer plugin. It was the optimization plugin… thank you so much! You’re most welcome! We’re glad that our article helped you out! We’re happy that it worked for you! I am facing the problem described in your screenshot, but only with some of my images. I have 25 images, smaller than 1MB each, and 5 of them are not being uploaded (not the 5 biggest ones …). 2 of them are portrait, 3 are landscape. Hello! Did you go through all our fixes and they still don’t work? Hello! We’re glad that it works for you! Thank you for letting us know. Thanks! This really helps me! I used up (8) linked to the plugin and the problem was solved! Thanks admin for this article very helpful. I am facing a big Issue on My blog. I have not be able to access WordPress dashboard after login, because it is showing HTTPS, but I have not done any changes to my site in last few days, it’s just I updated some bulk plugins. Hello! We don’t really understand the problem, unfortunately. If we access your site through HTTPS, we noticed that it’s improperly set up: “The owner of http://www.bestacousticguitarreview.com has configured their website improperly”. You might want to check this with your hosting. Also, check this – http://codex.wordpress.org/Administration_Over_SSL. I am having same issue- exact ditto. What is do now is – I use my Mobile data to upload all images and then I access it from library on my fast wifi. I know this sounds lame, but I got no other solution for this problem. Plus No one is there to help – Godadday (who sold me wordpress) barely know anything about the faults and fixtures. So thats a patch work we do here. Hello! Yeah, you won’t get much help from GoDaddy, we noticed that. It could be some sort of problem on their end, if everything else doesn’t work. I had no idea that apostrophes would screw things up! Now I now why I was having issues. We’re glad you liked our post! Thank you! Shared hosting providers cannot be expected to be experts on a constantly evolving open source platform, especially considering the sheer number of content management systems that exist. This is the equivalent of buying a Honda, adding 20 custom parts to it, then taking it to a Ford dealership to troubleshoot the check engine light. Ford sells cars, your own a car, they should be an expert on your car right? No. If it doesn’t work on the default WordPress theme, with no plugins enabled, contact your hosting company. To suggest otherwise is lazy and irresponsible development. Well, if a hosting company says it supports WordPress and has the proper infrastructure for it, but they end up having some sort of issue that doesn’t allow you to upload your images, then they should fix it. There were plenty of times when the issue was fixed by the hosting company, because there was something wrong on their end, which is not necessarily to blame, because bad things can always happen. If something’s wrong on the server’s side, then you can’t do anything, except contacting them to solve the issue, since you don’t have access to their servers, and even if you did, you might not know how to fix the issue. Hi. Thank you for sharing this. I have tested all the methods above, however, it does not work on my end so I look for other ones. I am able to fix the http error in uploading images to WordPress by installing a theme called Default to GD downloadable on GitHub. another solution worked for me .. upload the picture you want to facebook and download it back .. now upload it in wordpress .. tdaaa uploaded !! Wow, that’s a really strange fix :). Never would have thought of that. Maybe it was a coincidence? Anyway, we’re glad it works! Hey…. You can easily solve the problem by Going to Media , – Add New and Use the Select Files. and select the image and upload manually…. That should solve the issue if you are not having any problem with your host configuration. So before tweaking any file or settings, You can try that…. Hello! Thanks for pointing this out. It could work for some. That worked like charm. This is no doubt the quickest fix (as long as you are not having issues on your host end) without installing a plugin or tweaking files on your on your site. Oh my gosh this one worked for me — after trawling through troubleshooting sites for hours and trying just about everything, this was the one that did it! Thank you! Re-Export with gimp solved this problem after i tried some fixing with editing the php.ini. I got some resized JPEG files to upload on our website from a mac user. Maybe theres some kind incompatible converting software in OSX or third party programs? Hmmm, don’t really think that some sort of incompatibility issue could cause this. I changed my PHP from 5.6 to 7.0 and it works. Hello! Yeah, some WordPress updates can bring different problems. Thanks for sharing the links! I have been having this issue too for all my WordPress sites. Based on the discussion and troubleshooting with my hosting provider i have the steps they took to sort out this issue. Hello! Thank you for sharing this with us! Hello, and then if we still have the error ? What else can I try ? Thank you. Hello! Contact your hosting support and have them check it out on their end too. A lot of issues are caused by servers. After switching to different server getting HTTP error. Images are uploading but automatic default wordpress thumbnail generation not working. Any idea to fix this. Above methods not working. Hello! If this happened after you switched servers, and nothing in the list seems to fix it, then it’s probably server related, and you should contact the hosting support. I want to find you and give you a hug!! Number 5 solved my problems after months of http error and wasted time. And a lot of curse words. Thanks so much!!! Hello! Sorry to hear that. Even tried contacting your hosting provider? I have made changes in the permission of httpdocs for “Application pool group” to “write” and it works, thanks. This is a great post. I’ve been searching around for a good solution for my users. Thanks for sharing. Hi, it gave me realy trouble. Because of that i want to share my solution with all of you. In my case this happened because of WP Jetpack plugin, I realize it after disabled it. Hello! Thanks for the solution! It doesn’t surprise me that Jetpack could cause an issue like this, to be honest. This issue was solved by tech support for me by changing the name of my “php.ini” file to “php5.ini” Hmmmmm. That’s new for me. My client is using a cheap/reseller host, so maybe they have variation in their filenames. Who knows, but now my images upload fine. Note the semicolon at the end. 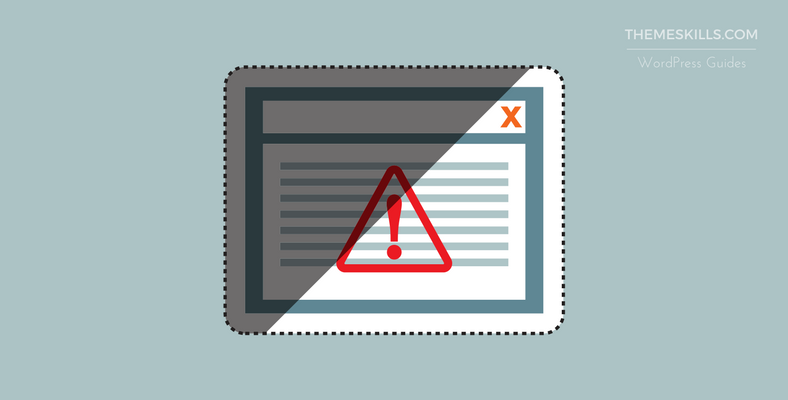 Without it, your site will likely throw an error. Thanks for the post. I hope this helps though. The PHP update (which I changed within cPanel) worked perfectly. I was on PHP 5.2 and changed to 5.4. The tip to change from .jpeg to .png worked a treat, thank you! We are experiencing this issue for .docx file uploads. Whenever an user tries to upload .docx file in our contact us page(we used contact form 7 plugin), they get HTTP error(502 Bad Gateway error), not only for that plugin, even for any type of plugin. We are so excited to receive a reply from your side. A 502 error usually means that the server killed the process because it was taking too long to complete. This can happen for a lot of reasons, and it can be quite tricky to find sometimes. The first thing I’d do is to rule out the hosting company and make sure the problem is not with their server (it usually is in situations like these :D), especially if you know you’re not on a quality hosting company, which doesn’t have infrastructure that can handle WordPress. If the server is not the issue, you need to check WordPress, the plugins and the theme, and for that I’d recommend someone who’s good at troubleshooting WordPress errors, like a developer or something. I had this issue in one of my installations. My solution was to change php to fast-cgi. This is a new issue in most of wordpress updates. Thanks for revealing. I get the message if I have left a post open on my computer, say, overnight. It’s the same situation in which, if I were to edit, then update the post, I get the message, “Are you sure you want to do this?” In the case of the image, it never tells me it’s a refresh problem. But after I do refresh, I can upload the same image with no problem. Very Simple we can solve this HTTP Error. If you uploading the images from the desktop just move them to any drive and try uploading and you can do it easily. – The theme. Switch the theme with a default one from WordPress, and then check again. – The theme and plugins. If just switching the theme doesn’t do it, then switch the theme and disable all the plugins; check again. Some plugins may be incompatible with the theme(s). – The hosting. Since you’re saying that they don’t have any idea, I’m assuming you’re on Godaddy? :). They usually don’t know what’s going on. You need to check with them again, especially regarding the PHP memory. It happened to us once (not on GoDaddy), where we would increase the PHP memory, the hosting support would do it too, but after a while they realized that it won’t take effect if we are on a shared or cloud environment. You could download a plugin like WP-ServerInfo or Server Status to check the statistics of your server. – Some themes also require a higher version of PHP, so that 5.4.16 may cause some trouble. You should ask the devs. That’s all I can think of right know… Let us know what happens. Oh, and don’t forget to make a full backup before switching the theme and stuff. I actually figured it out! Because I moved web hosts, I had to go into the options table and remove the value for the upload_path field. Once I did that, everything was fixed. Oh yeah, that makes sense :D. I’m glad that you figured it out! Thank you. In my case plugin was what caused this error. In my case my proxy server was causing the problem. What was happening with your proxy? I’m facing the same issue and I think its because of the proxy. I had this issue for a long time now. I could only upload small files. Everything else gave me an HTTP error. I finally got it FIXED. My hosting provider eventually, after a lot of time trying to figure it out, found that the issue was in the Apache configuration file and that the “LimitRequestBody” was set to 200kb. After adjusting that, everything was fine again! So, if nothing else works, have your hosting provider look at that file and see if it is set too low. Thanks for the tip! Recently, we experienced something similar on a project. We started receiving the HTTP error right from the beginning. After trying everything that we knew, the hosting company finally fixed it by switching our PHP version to 7. So I was having this problem as well, and that got me here. I had a plugin “WP Smush” installed. Was the first I deactivated, and viola! All images are uploading…. I think you should add “all image compressing/editing plugins should be deactivated first. Ahhhhhhh thankyou so much! It was a sneaky apostrophe that was causing it! AddType x-mapp-php5 .php works perfectly. Thanks! “HTTP Error” is like so many other errors: a totally useless error message that tells you nothing about the problem encountered. However, I’ve found that the problem is most often a timeout condition of the upload process. There may be dozens of ways to work around the problem and resolve it. But ultimately, I usually just turn off the script timeout. You need to edit 3 files in your WordPress installation. Add the line: “set_time_limit(0);” without the quotes somewhere near the top of each of the following 3 files. Don’t forget the semicolon. Make sure that you don’t accidentally put it inside a comment block. And then — and this is the hard part — remember to reapply these changes every time you upgrade wordpress. Setting the time limit to anything other than zero, sets a timeout to that number of seconds. It’s probably safest to give it some value other than zero (which means no time limit), but I just give it zero and if it runs too long, I can close the browser. …..where I said “without the quotes” …. also without the added backslashes…. Thanks for your input! The backslashes are caused by a plugin conflict, which we are still working on. I removed them from your comment. I have tried the FTP access suggestions, adding code to .htaccess, and nothing worked for me. I found a super old-looking website that suggested making sure the file path was correct. And that’s what my issue was! I cloned this site to create a sister site (for my client’s sister company), and I assume something happened there. The pathway for all the media was linking to the sister site on the main site. UGH. Choose the Media option from the left menu. The path should display wp-content/uploads. If not, correct the path. Thanks for pointing this out! I’ll add it as a fix. I had the http error problem….SO annoying. I just deactivated the JetPack plugin. It’s pretty useless anyway, with so many better plugins you can use. Yeah, the Jetpack plugin can cause a lot of issues in a lot of different places. We used it once in our WordPress beginnings and then stopped using it. i have already increase memory limit, put thats code on .htaccess and my problem to upload image on wordpress is not sucess..
any one have solutions for wordpress 4.7.4 ? Backup your site and then switch your current theme with a default one from WordPress (e.g. Twenty Seventeen). See if the problem persists. The apostrophe worked for me! Couldn’t believe it! Apparently there’s a long standing open bug in WP, related to the thumbnails creation library, which was changed in v4.5 to a more “efficient” lib – causing all sorts of weird problems that no one was able to fix since. This support thread mentioned a solution, and indeed it worked for me and many others: get back to using the old thumbnails lib. or by simply adding the code in the plugin to the theme’s (and preferably the child-theme’s) functions.php file. You have provided very nice information. It really helped me. I personally appreciate your article on the topic “solutions for the HTTP error”. But finally installed WP-optimize plugin By David Anderson, Ruhani Rabin, Team Updraft and it works successfully. The same problem i was facing in chrome browser, but in Mozilla everything was fine..
Have you contacted your hosting company? Our problem was that our load balancer ran out of hard disk space. Be sure to setup a log rotation that deletes the oldest logs after a period. I had the same problem and it turned out to be a plugin so I disabled it and the image or photo uploaded without the error. The Plugin was Image Optimizer WD. If that’s going to prevent me from uploading other media files then I’ll have to find an alternative. Thank you for you help as it solved the problem. Hi, I’m Still facing the same issue, I’ve even minimized the size of the image or the resolution even I’ve followed your rules as well. Hello! Well, if you did try everything pointed out in the article, especially deactivating all the plugins and switching to a default WordPress theme, then it means that it’s most likely a hosting problem, since you ruled out the theme and plugins. So I recommend contacting them, tell them what you’ve done so far, and kindly ask them for assistance. You Beauty – that suggestion of 7) Update – don’t have an apostrophe in the image file’s name! was absolutely spot on! Fantastic – after uploading many photos of only 400Kb or there abouts, this WORKED! A Huge thanks you to the contributors. idk if anyone’s tried switching browsers but after failing solidly for one hour working on Opera, I opened my blog up on Brave and the original pic uploaded immediately. You had several other things to try that I did not find anywhere else. I tried everything I found here in your nice article as well as everything else that I could fine elsewhere and nothing worked for me. Finally out of curiosity I decided to try uploading from another web browser and that did the trick. I was using Google Chrome and it was not letting me upload but after I switched to Firefox everything worked perfectly. Heya! Thanks for contributing! I think someone else has pointed out that before as well. Since it seems to be a valid fix, I’ll update the article and add it :D. Thanks again for sharing this with us! This article got me working. Thanks… I de-activated all of my plugins, and it worked… As I started looking at them, I noticed one that you had in your list, EWWW Image Optimizer. It was not my culprit, I then noticed one called Imsanity. The description was “Imsanity stops insanely huge image uploads” That was the big culprit for me. Not even sure how it got installed in the first place. It’s deactivated now and life is good again. wait whatt..?? just solve my problem by rename it to a simple filename :D, from blablabla blalala.jpg to logo.png ^_^ .. I tried everything but not working to solve the pdf upload error, after 50% pdf upload it automatically goes to HTTP error, how to solve it? Hello! Is it only happening with .pdf files? Have you tried using another.pdf file? Use a very small one and see if it works. Since you said that you tried everything pointed out in the post, also try deactivating all your plugins and see if that solves the issue (create a backup first). If it does, activate them one by one until you find the culprit. Also, check your error log in your control panel (usually cPanel) because it might point out the issue. As a final solution, talk to your web host. Thought I’d chime in since none of the other tips worked for me but I figured it out: refresh your page. Basically, I opened a “new post” page then left for the evening. When I returned in the morning, I wrote my post but got the HTTP error when I tried to add an image to my post. My login hadn’t timed out overnight, but obviously something had, because when I clicked “save draft,” I also received a WordPress error. However, the draft had autosaved, and when I opened it back up, images uploaded just fine. Thanks for pointing it out! I’ve added it as a potential fix in the post. Well, i don’t understand why WordPress does not do anything about this problem. I just got it and searched around. It’s a problem that has been for years now. And i don’t know why the image size should be a problem at all. 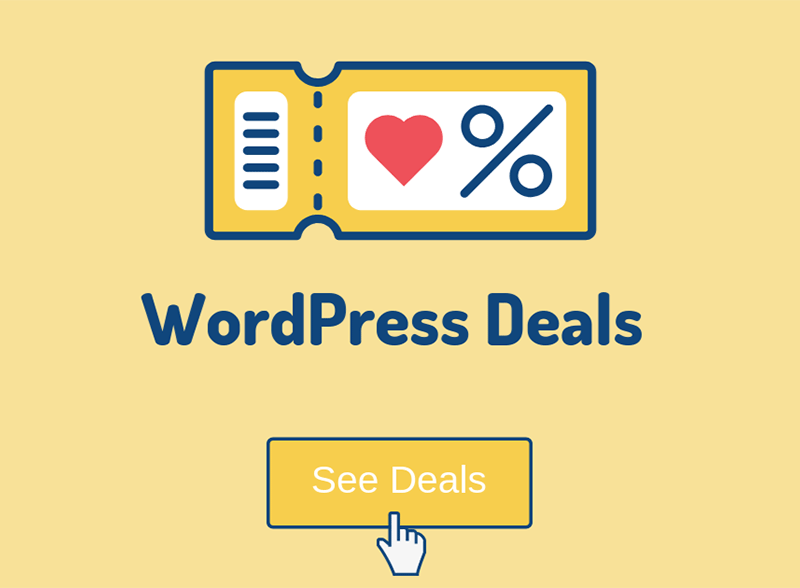 There are so many photographers that uses WordPress. But they must all use some theme that adds this function(or some other) to get rid of the problem. Don’t know if WordPress is really the culprit. Usually, from my experience, the problem is caused by the file, the server, the theme, a plugin, or a combination of those. The file sizes usually don’t matter for WordPress, but in some cases, depending on the website’s setup, it might cause an error. Hmmm, you taught me something new today. Thanks! Problem solved by method number 10!!! I was moving wordpress and changing my domain name. It ended up with wrong path in “Store uploads in this path”. I changed it to default ale voila ! Awesome! Thanks for letting me and the others know.